Southern Californians interested in intersections and issues of aging and technology are encouraged to attend St. Barnabas Senior Services’ (SBSS) third annual L.A. Tech and Aging Conference & Expo on Saturday, April 6, 9 a.m. – 3:30 p.m., at the Los Angeles Convention Center. Registration deadline is April 3 via online sign-ups at www.agingintothefuture.com. Cost, including lunch, is $25 for adults over age 60, $40 for students, and $70 general admission. Questions may be directed by phone to 213.388.4444. L.A. clergy and laity interested in accessing SBSS’s wider complement of technology and aging educational resources may contact diocesan Canon for Common Life Robert Williams, rwilliams@ladiocese.org. “If you’re a 55-year-old working professional worried about mom and dad’s well-being and looking to solve everyday problems for your parents. 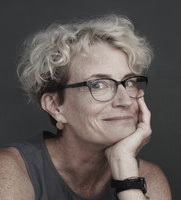 “Confronting Ageism in Tech… and Everywhere Else” is the keynote topic to be addressed by author-activist Ashton Applewhite, whose new book, This Chair Rocks: A Manifesto Against Ageism, has just been published by Celadon Books. She has been recognized by The New York Times, The New Yorker magazine, National Public Radio , and the American Society on Aging as an expert in ageism. She blogs at This Chair Rocks, and speaks widely at venues including the TED mainstage to the United Nations. “Mission Possible: Making Caregiving Easier, with Tech”; “Delivery on the Promise of Self-Driving Cars Today”; and “Make Everyday Easier With Voice First Technology” are among TECH talks to be given by speakers including Justin Erlich, vice president of strategy, policy and legal for Voyage; Davis Park of Front Porch Center for Technology, Innovation & Wellbeing; Leda Rosenthal, CEO of alzyouneed.com; John Sanders, resident of Carlsbad-by-the-Sea retirement community. Event partners include AARP California, USC’s Leonard Davis School of Gerontology, Los Angeles County, and L.A. City ‘s Department of Aging, among others. 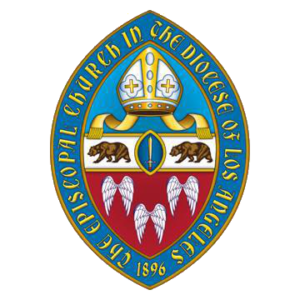 With service centers in Echo Park, Hollywood and Mid-City, SBSS is a non-sectarian, non-profit social-service institution founded through the Episcopal Diocese of Los Angeles in 1908. SBSS is co-founder and managing leader of the Los Angeles Aging Advocacy Coalition (LAAAC), whose membership includes 60 influencers in the field of aging, representing health plans, nonprofits, government agencies and service providers with a reach of over 1.6 million seniors across L.A. County. Additionally, SBSS partners with over 100 organizations in the community and serves more than 18,000 seniors across Los Angeles annually.